One of the most important cleaning tools you can have in a home is a vacuum cleaner. 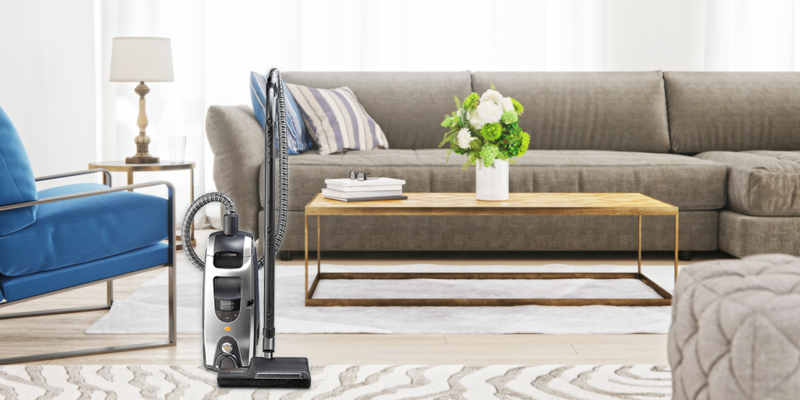 Since the invention of the first motorized vacuum in 1901, these machines have proven themselves an invaluable staple in almost every household. As their technology has evolved, vacuums have been designed to be even more powerful, useful and effective at removing dirt, dust and errant debris from our surfaces. Studies have shown that regularly vacuumed carpet can be more beneficial to air quality than cleaning other surfaces. If not cleaned regularly, pollen, dust, animal dander and other pollutants can be circulated through the air you breathe. Also, dirt and soil trapped in the carpet can act like sandpaper, wearing away and diminishing the attractiveness of the carpet. Canister vacuums will generally be smaller, more lightweight units with a long hose that you pull along behind you. 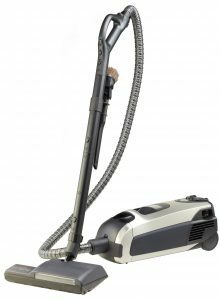 Due to their lighter weight, if you find yourself needing to carry it upstairs or from room to room, it should be easier than lifting an upright vacuum. Canister vacuums can also offer better maneuverability than many uprights, like when it comes to cleaning hard-to-reach places such as under furniture, baseboards and beds. Ideally, canister vacuums are easier to use, and many brands offer a wide assortment of attachments for different cleaning purposes. 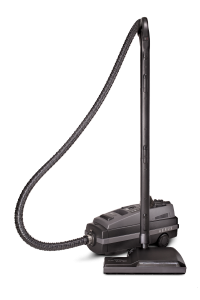 Since 1924, Aerus canister vacuum cleaners have been the standard of quality and performance. Our Lux line of canisters continues that tradition, all the way down to the bullet shape. 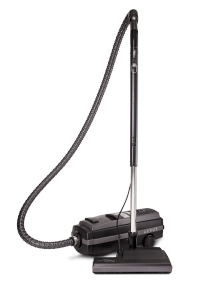 Lux vacuum cleaners operate with cyclonic suction and high efficiency filters. As Aerus, we began our journey into healthy home products with the first tank vacuum model, introduced by Gustaf Sahlin. This tank design — later known as the canister — became an overnight sensation and remains a standard of excellence for floor care products today. Automatic Protection: If an object becomes tangled in the power nozzle brush, the circuit breaker will automatically shut off and prevent damage. The motor will also automatically shut down if it overheats. Easy Clean Up: The Classic’s vacuum filter bag, exclusively designed for Aerus, is self-sealing so that no captured dirt or dust can escape. Filter Bag Performance: Ultra filtration vacuum bags provide four times better filtration than previous 4-ply designs. Tests show 94% efficiency at capturing particles as small as 0.3 micron. No Worries: The Lux Classic is protected by a 5-year limited warranty. Ease of Use with L-Shape Design: The power nozzle self-adjusts its height between types of carpet or hard surface floors and the unique, low profile L-shape provides 4-sided cleaning around table and chair legs. Convenience: An automatic cord winder makes storage easy. Control Suction: The control valve allows for easier vacuuming of delicate materials such as drapes and upholstery. Cleaner Air: Fine dirt and particles are captured by a high efficiency, electrostatic after-filter. If vacuumed regularly, clean carpet can actually be more beneficial to air quality than other surfaces. Depend upon the power of the Lux Legacy by Aerus to rid your home of harmful pollutants and debris. Indoor Air Quality: Airborne contaminants are captured by a high efficiency, electrostatic after-filter to improve the indoor air quality. Powerful: Cyclonic suction prevents clogs to maintain peak airflow, necessary for powerful cleaning. Auto Shut-Off: If an object becomes tangled in the power nozzle brush, the circuit breaker will automatically shut off and prevent damage. The motor automatically shuts down if it overheats. Self-Sealing Bag: The Legacy’s vacuum filter bag, exclusively designed for Aerus, is self-sealing so that no captured dirt or dust can escape. Electronic Display: Keeps you on top of performance particulars, including a full bag. Automatically guards against operation without a bag. 4-Ply Filters: Ultra filtration vacuum bags provide four times better filtration than previous 4-ply designs. Tests show 94% efficiency at capturing particles as small as 0.3 micron. Worry-Free: Ownership of the Lux Legacy is worry free with a 10-year limited warranty. Easy to Use: The power nozzle self-adjusts its height between different types of carpet and the unique, low profile L-shape provides 4-sided cleaning around table and chair legs. Also equipped with a headlight. Versatile: A control dial, conveniently located on the canister, adjusts for the type of cleaning required, whether fine dust, large particles or regular vacuuming. Control: A switch on the handle turns off the brush roll for use on hard surface flooring. Convenience: Accessories are stored on board the canister for quick access and an automatic cord winder makes storage easy. Designed to be both powerful and sleek, the Lux Guardian Platinum is our most advanced canister vacuum. Boasting a high-powered motor that is also exceptionally quiet, as well as 2 sealed HEPA filters, the Platinum captures the smallest contaminants, releasing only clean air back into your indoor environment. The Platinum’s features smart, intuitive details, providing everything you’ve come to expect from a high-performance Aerus floor care system. High-Powered Motor: Features an incredible 505 air watts and 116″ of water lift. Quiet Operation: With an aerodynamic air guide design and multi-layered sound insulation for quiet operation. Double Sealed HEPA Filtration: 4 levels of purification with double HEPA filtration. System Indicator Alerts: Signals the condition of operation, including suction level and automatic mode, pre-filter notification, full filter bag and over-heated motor. Suction Control: Adjustable across 8 levels according to the task at hand. Equipped with Sidekick Mini Power Nozzle: A mini, motorized power nozzle useful in cleaning stairs, bedding, car interiors, and more. 3-Wheel Guidance System: Makes the canister easy to maneuver and pull as you vacuum. Automatic Cord Winder: For easy storage of the 28 foot cord. Unique L-shape Power Nozzle: Provides 4-sided cleaning and self-adjusting height between different types of flooring. Patented Push & Pull Connection System: Makes inserting and removing the electrical hose effortless. 360° Rotating Hose: Featured on both ends of the vacuum, plus an ergonomic handle design for comfort. Auto Shut-Off Mode: If an object becomes tangled in the power nozzle brush, the circuit breaker will automatically shut off the brush to prevent damage. Built-in Thermo Coupler: Protects the motor by shutting it down if it overheats. Wow, so many ways that I’ve never heard of! Thank you for putting all of this valuable information in one spot! Bookmarking it for later.